Welcome to the community! Lake Spanaway is a caring community partner serving the areas of Graham, Parkland, Spanaway, Joint Base Lewis-McChord, Frederickson, Midland, and Tacoma. We've gathered these resources for residents new to the area and hope you find them helpful. We look forward to seeing you around the neighborhood! 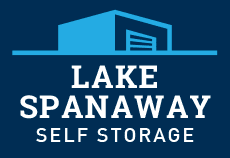 Lake Spanaway Self Storage provides residential and commercial storage solutions in Tacoma, WA. For customers seeking mailbox rentals, self storage units of varying sizes, Penske truck rentals and packing and moving supplies for sale, Lake Spanaway Self Storage is your one stop shop. We offer storage designed for peace of mind and can't wait to provide you with a customer service experience you'll want to share with everyone you know.